Constipation is a topic that very few of us like to talk about, and although most of us have experienced this condition at some point in our lives, we like to keep it as our own little secret. While for some people constipation is an occasional problem caused by some foods, in others it reveals itself as a chronic health issue where they need to take regular medication or laxatives to keep things moving. Although, constipation is commonly defined as having bowel movement less than 3 times a week, but in reality, it has different meaning for different people. While some refer to it as irregular bowel movement, others associate it with difficulty to pass stool. 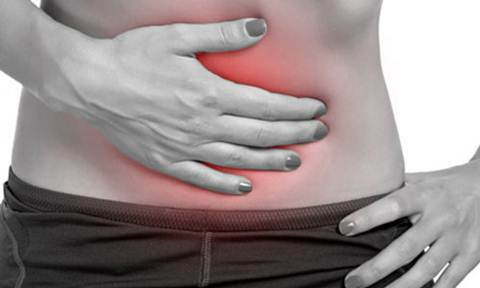 In some cases constipation may be an associated symptom of IBS (Irritable Bowel Syndrome) or diarrhoea. Constipation can occur in people of all ages – from new-born babies to elderlies. Other than medications and laxatives, acupressure is an effective natural way of treating constipation which provides lasting relief without any side-effects. Poor diet and not getting enough fluids on a daily basis are considered the most common causes of constipation. Let us take a look at few of the causes to understand the issue in a better way. Diet – A diet that is low in fiber rich foods such as vegetables, whole grains and fruits is one of the leading reasons of constipation. Also a high protein diet rich in meat, dairy products and eggs can also lead to constipation. Processed and ready to eat meals are low in fiber and high in sugar and salt and it leads to irregular bowel movement. Constipation is more common among older people because they don’t drink enough water and other fluids along with their meals. Excessive Use of Laxatives – Laxatives are an effective cure for constipation, but using it too often reduces the body’s own capacity to function. Excessive dependence on laxatives signals your body to depend on them and stops you from having normal bowel movement. It can also lead to diarrhoea. Lack of Exercise – The modern sedentary lifestyle with long periods of inactivity has led to constipation and problems in bowel movement in people of all age groups. Being more physically active and devoting at least 30 minutes to exercise daily can work as a natural cure for constipation. Holding Back Bowel – Ignoring the urge to have a bowel movement can lead to constipation at a later stage. Some people are strict about having bowel movement only at home and they don’t sue the toilets in the office of public places. But this habit can cause constipation if bowel movement is delayed too long. Medications – Certain medications and drugs such as antacids, medicines for depression, allergies, pain killers, hypertension and diuretics can cause constipation. Medical Conditions – Certain health issues like diabetes or blocked intestines can cause constipation. 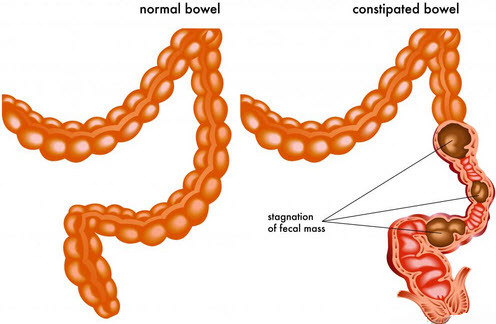 In these disorders the muscles and nerves involved in normal bowel movement are affected. Stimulating these acupressure points with your fingers can help relax the abdomen and promote regular bowel movement without any pain or discomfort. They also help in relieving the associated symptoms of constipation such as abdominal pain, bloating and gas. CV6 or Conception Vessel 6 is an important acupressure point for treating constipation. It is also named the Sea of Qi and this point is located exactly three finger widths below the belly button. This point should be stimulated using the fingertips gradually. The pressing should be no more than 1 inch deep. You will peel something firm with your fingers as you press. Maintain this firm pressure for 30 seconds as your breath normally keeping your eyes closed. This point helps in relieving pain in the abdomen, constipation, colitis and gas. It is also useful for treating hernia, irregular menstruation, impotence in men, digestive disorders and fatigue. CV12 or Conception Vessel 12 is yet another vital acupressure point that is a solution for all types of digestive problems and provides quick constipation relief. 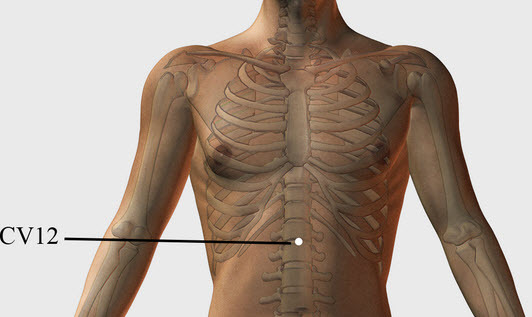 It is known as the Center of Power and it can be found on the midline of the body, halfway between the base of the breastbone and the belly button. This point should be stimulated with great care and should not be pressed for more than 2 minutes at a stretch. It should be pressed on an almost empty stomach. It is best to avoid this point if you are suffering from heart disease, cancer or hypertension. It relieves constipation along with abdominal spasms, stomach pain, indigestion, heartburn and emotional stress. It is also an effective pressure point for dysentery, jaundice, insomnia and vomiting. St36 or Stomach 36 is a beneficial point of acupressure for constipation that relieves stomach and intestinal disorders, promotes digestion and strengthens the whole body. This is also known as the Three Mile Point and it is situated four finger widths below the kneecap, one finger width towards the outside of the shinbone. When you reach the correct spot, you will feel flexing of a muscle as you move your foot up and down. 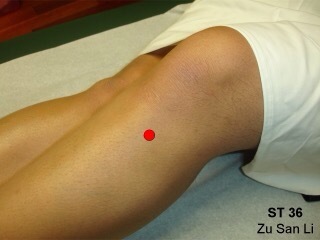 Use your palms to briskly rub this point for one minute on both legs. It is also a useful point for asthma, PMS, insomnia, depression and nervousness. LI4 or Large Intestine 4 is by far the most famous acupressure point that is a solution for various health issues and is an important point for constipation acupressure. It is called the Joining Valley point and it is located on the fleshy muscle between the index finger and the thumb. Spread your thumb and in index finger apart and stimulate this point by squeezing the fleshy webbing with your fingertips for 1 minute while you take long, deep breaths. Now, switch sides and press the point on the other hand for 1 minute. It helps to relieve constipation, chronic pains, eye problems, toothache, and allergies and boosts the immune system. This point is forbidden for pregnant women because stimulating this point can lead to premature contractions of the uterus. LI or Large Intestine 11 is a functional acupressure point that provides quick cure for constipation. 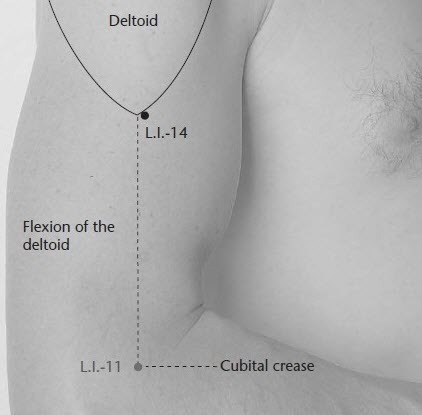 This point is also called the Crooked pond and it is situated at the outer end of the elbow crease. Press this point firmly using your fingers for 1 minute as your breathe deeply. Switch hands and stimulate the point on the other arm as well. This is an effective point to relieve indigestion and constipation. This is a vital trigger point for the colon. It also aids to reduce high fever, skin diseases, diarrhoea and heat stroke. It is also a local point for elbow pain and tennis elbow. 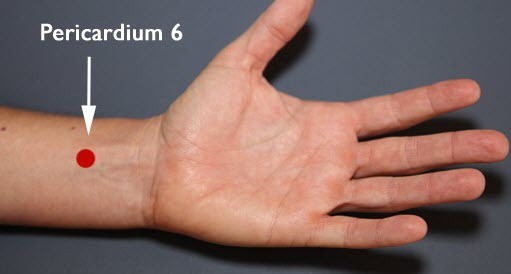 PC6 or Pericardium 6 is an effective acupressure point that is located on the medial aspect of the hand, four finger widths below the wrist, in the hollow between the tendons. This point is also called the Inner Gate point and it should be stimulated by pressing the point with your fingertips. Apply pressure on the point for 1 minute and then switch side and apply pressure on the other arm. In addition, it is also used to treat upset stomach, motion sickness, headache, nausea, carpal tunnel syndrome, asthma, and angina and chest tightness. Stimulating these acupressure points along with a healthy fiber rich diet and optimum intake of fluids can go a long way in relieving constipation without depending on laxatives and medicines. 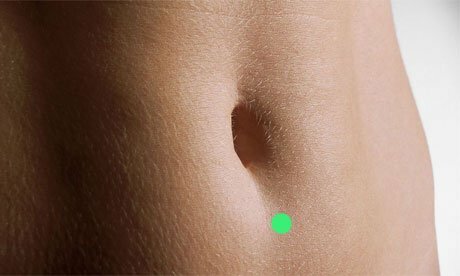 https://www.modernreflexology.com/acupressure-points-to-treat-digestive-problems/. This article will help you solve your stomach problems. I am suffering constipation for five years and I never get pressure on my stomach in this time period even no bowls movement . I’m taking laxative from last one year. I get relief from this but still no stomach pressure . But Now if I do not take the pills once in a day, it does very difficult to spend the time and I feel heaviness, gastro pain etc. This time I am taking enough fiber in a day, 8 to 9 glasses of water, exercise . Could you please recommend me anything because I’m not able to understand to my stomach. I do lots of things for my stomach. Try these acupressure points for relief and get diagnosed by a doctor to know the root cause of the problem. You can add psyllium husk to his diet, organic is always beet, and keep him hydrated while you try this along with acupressure points.